A sweet melody floats through the air in Wisconsin's picturesque capital. On this fun-filled Madison scavenger hunt, we go in search of well-orchestrated buildings, musical sculptures and the calm sounds of Lake Mendota. How did the Wisconsin State Capitol remain the tallest building in the city? Is the Chazen Museum an art gallery, concert venue, or both? 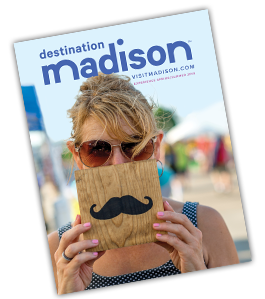 Find out on this scavenger hunt of Madison! This scavanger hunt takes place all over Madison but the tour begins at 10 State Street.